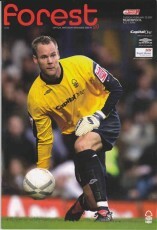 Issue 1 v Leeds United (Pre-season friendly), 29/7/06. Issue 2 v Bradford City, 6/8/06. 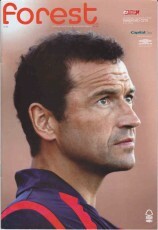 Issue 3 v Brighton & Hove Albion, 19/8/06. Issue 4 v Chesterfield, 2/9/06. 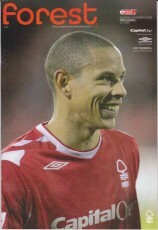 Issue 5 v Oldham Athletic, 12/2/06. 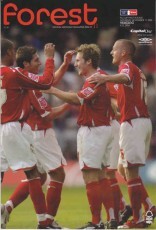 Issue 6 v Carlisle United, 16/9/06. 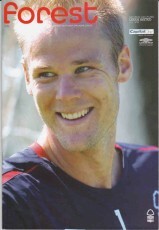 Issue 7 v Swansea City, 30/9/06. Issue 8 v Scunthorpe United, 7/10/06. Issue 9 v Bristol City, 21/10/06. - v Brentford (Johnstone's Paint Trophy 2), 31/10/06. 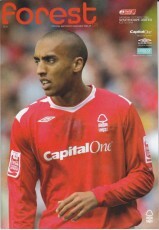 Issue 10 v Brentford, 4/11/06. 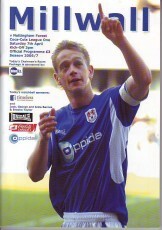 Issue 11 v Yeading (FA Cup 1), 11/11/06. Issue 12 v Millwall, 25/11/06. Issue 13 v Salisbury City (FA Cup 2, replay), 12/12/06. 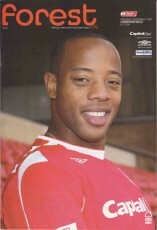 Issue 14 v Leyton Orient, 16/12/06. Issue 15 v Port Vale, 26/12/06. 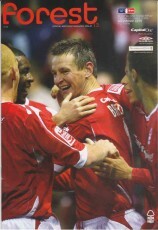 Issue 16 v Tranmere Rovers, 30/12/06. 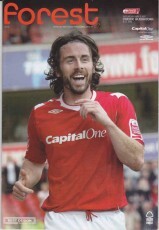 Issue 17 v Charlton Athletic (FA Cup 3), 6/1/07. 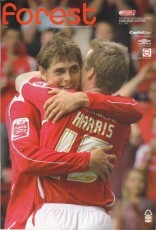 Issue 18 v Yeovil Town, 13/1/07. Issue 19 v Northampton Town, 10/2/07. Issue 20 v Blackpool, 20/2/07. 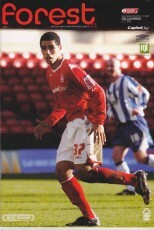 Issue 21 v Huddersfield Town, 3/3/07. 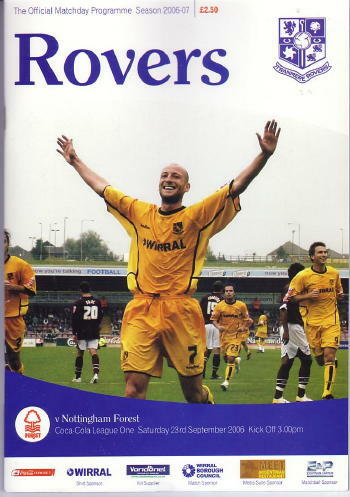 Issue 22 v Doncaster Rovers, 6/3/07. Issue 23 v Gillingham, 17/3/07. Issue 24 v Cheltenham Town, 24/3/07. 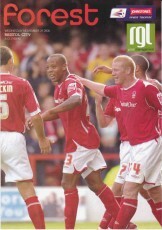 Issue 25 v Rotherham United, 9/4/07. Issue 26 v Bournemouth, 21/4/07. 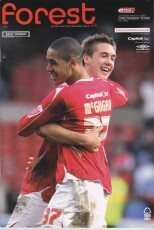 Issue 27 v Crewe Alexandra, 5/5/07. 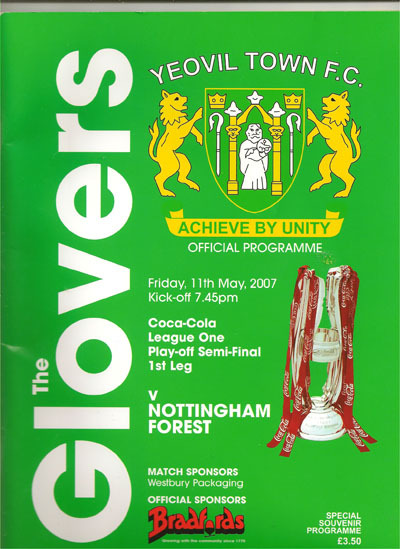 Issue 28 v Yeovil Town (Play-off Semi Final, 2nd leg), 18/5/07. (1) v Ilkeston Town (Pre-season friendly), 14/7/06. 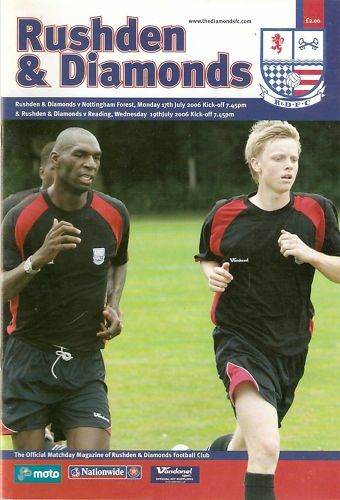 (2) v Rushden & Diamonds (Pre-season friendly), 17/7/06. (3) v Milton Keynes Dons (Pre-season friendly), 19/7/06. (4) v Mansfield Town (Pre-season friendly), 22/7/06 - abandoned. 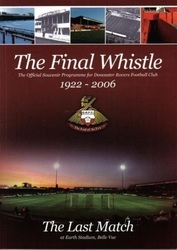 (5) v Lincoln City (Pre-season friendly), 26/7/06 - Single sheet. 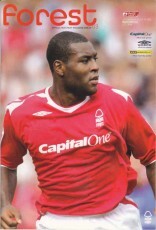 (7) v Northampton Town, 12/8/06. 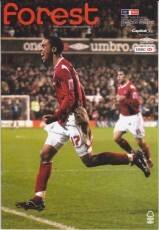 (8) v Accrington Stanley (Carling Cup 1), 21/8/06. (9) v Huddersfield Town, 26/8/06. 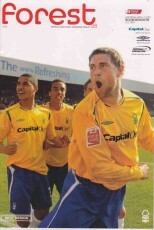 (10) v Yeovil Town, 9/9/06. (11) v Tranmere Rovers, 23/9/06. 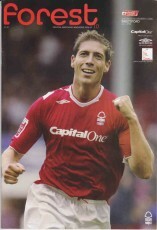 (12) v Port Vale, 26/9/06. (14) v Gillingham (Johnstone's Paint Trophy 1), 17/10/06. 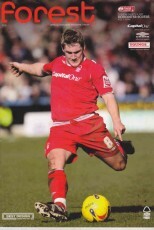 (15) v Cheltenham Town, 28/10/06. 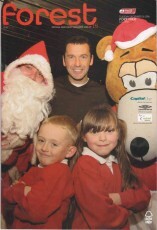 (16) v Rotherham United, 18/11/06. (17) v Salisbury City (FA Cup 2), 3/12/06. (19) v Crewe Alexandra, 9/12/06. 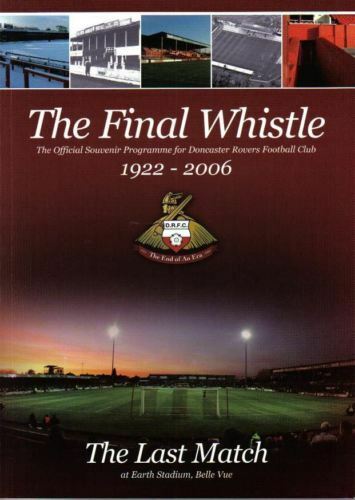 (20) v Doncaster Rovers, 23/12/06 - last game ever at Belle Vue. (21) v Oldham Athletic, 1/1/07. (22) v Swansea City, 20/1/07. 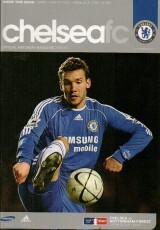 (23) v Chelsea (FA Cup 4), 28/1/07. 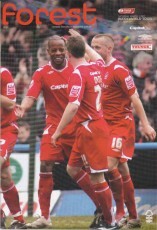 (24) v Carlisle United, 31/1/07. (25) v Bradford City, 3/2/07. (26) v Brighton & Hove Albion, 17/2/07. (28) v Scunthorpe United, 10/3/07. (29) v Bristol City, 31/3/07. (32) v Leyton Orient, 28/4/07. 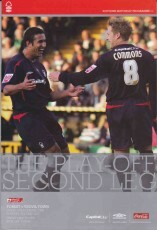 (33) v Yeovil Town (Play-off Semi Final, 1st leg), 11/5/07.